« Greenville, SC: Back to school! I’ll be the first to admit that creativity and organization are not my strengths. Fortunately, my wife is great at them. I’m always amazed at how she can take something old and ordinary and repurpose it to be something new. Then one day she shared her secret: Pinterest. In this blog post I share some easy DIY projects to make your house feel even more like a home. 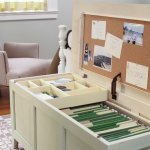 Don’t have space for a home office? 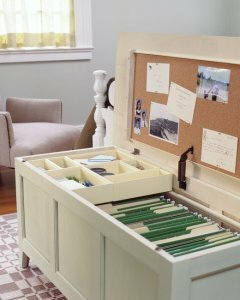 A repurposed storage chest is a great place to store files and other supplies. When you’re not using it, just close the top to hide the mess—and it serves as extra seating. Get details and instructions from Martha Stewart here. If you have children, you probably know how wonderful—and messy—LEGOs can be. 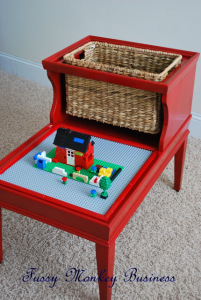 To help control the chaos, check out this DIY table made from an old yard-sale furniture find. It has a space for storage and a space to play. Get details and instructions from Fussy Monkey Business here. Looking for an aesthetically appealing way to keep drinks cool outside without spending a fortune? 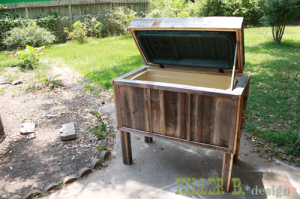 This rustic ice chest is made from reclaimed wood and an old cooler. If you don’t have an old cooler lying around, you can look on Craiglist or buy an inexpensive new one. 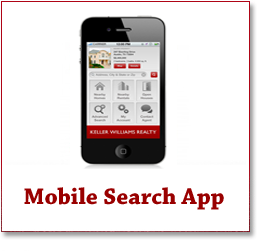 Get details and instructions from Killer B. Design here. 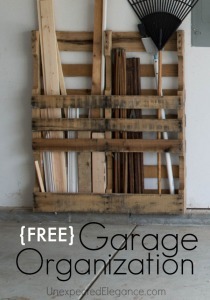 Apparently you can’t do a DIY blog without including at least one idea for an old pallet. Here’s one for garage storage. Just screw the pallet into your wall studs to create a great space for leftover wood, rakes and brooms. It’s also thin, so it doesn’t take up a lot of space. Get details and instructions from Unexpected Elegance here.